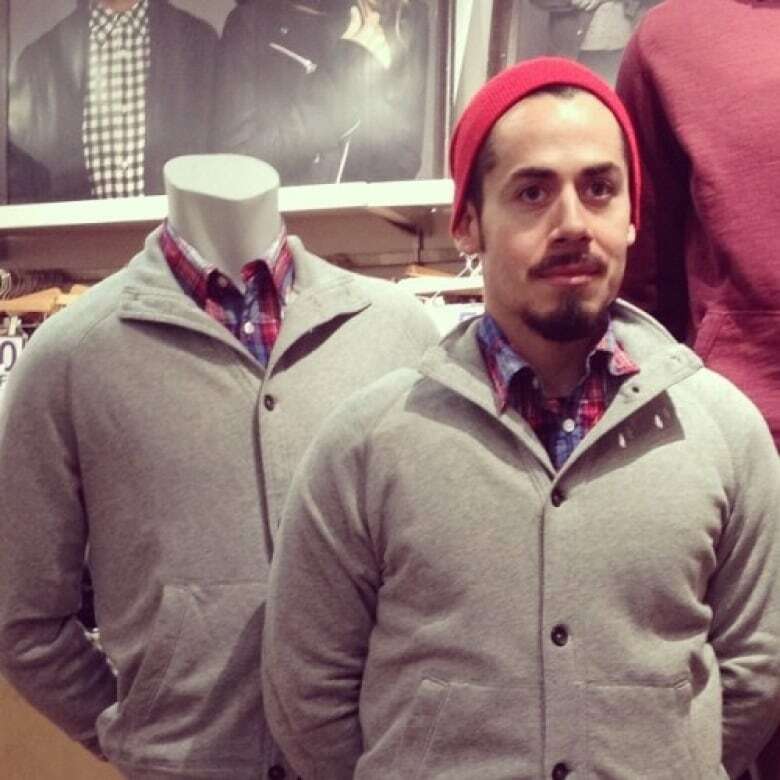 Photos of Vancouver's Steve Venegas showing him dressed up like store mannequins have gone viral this week, after being featured on BuzzFeed, Mashable, USA Today and a host of other media outlets. 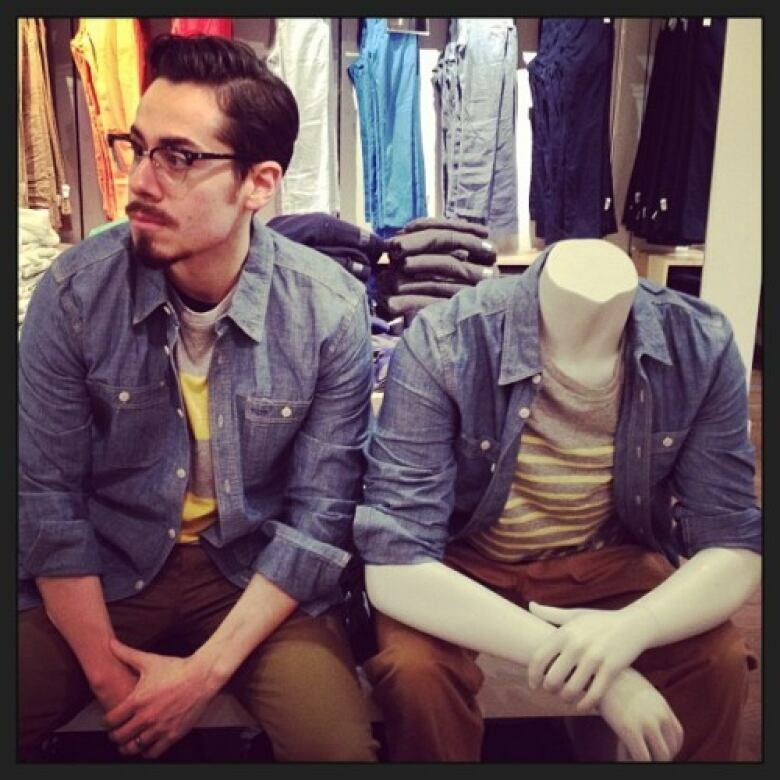 Photos of Steve Venegas showing him dressed up like store mannequins have gone viral this week, after being featured on BuzzFeed, Mashable, USA Today and a host of other online media outlets. 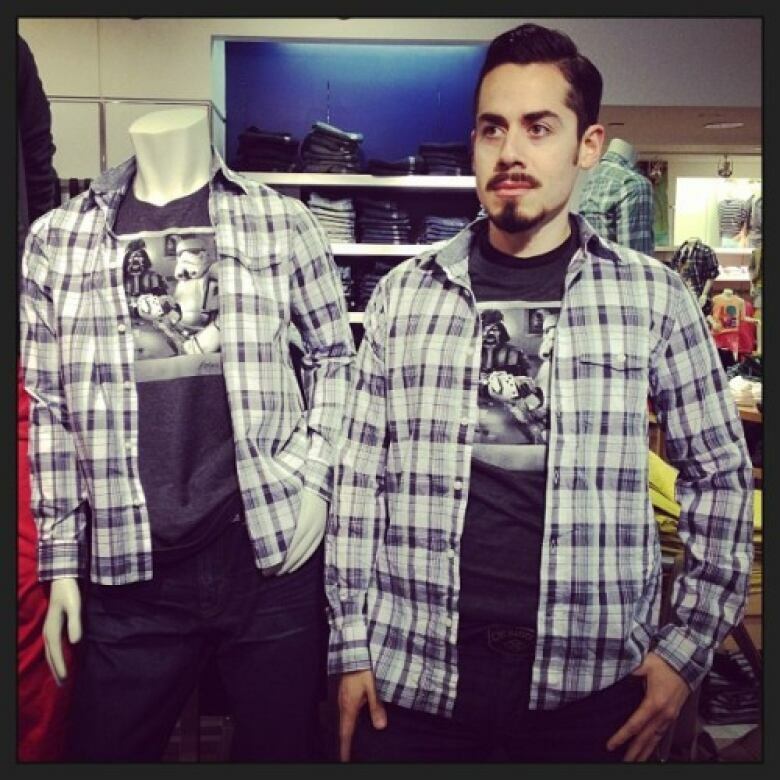 Venegas, who works at CBC Music and Radio 3, is a Vancouver-based podcaster and devoted husband, who just wanted to make trips to the mall with his wife, who snapped the photos, a little more interesting. 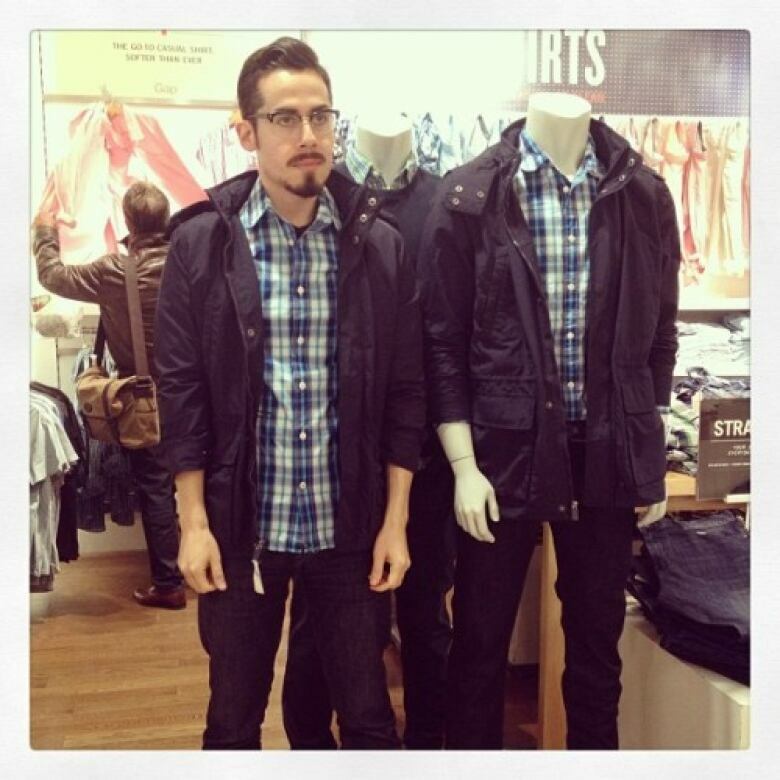 A Tumblr blog, The Gap Mannequin Project, shows the fruits of their labours since last spring: 23 Instagram photos, so far, showing of him dressed like — and posed next to — his inanimate fashion inspirations. "It's a fun game. I do it to make my wife laugh, too!" he said in a tweet. 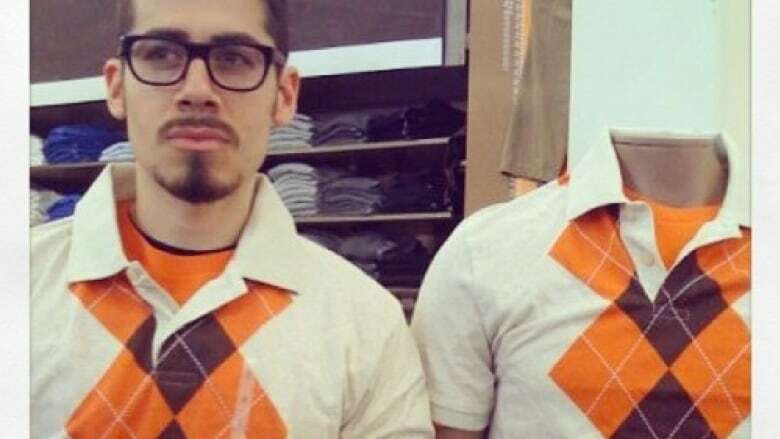 Venegas said that the employees didn't really seem to really notice, but other customers do, and they tend to laugh. 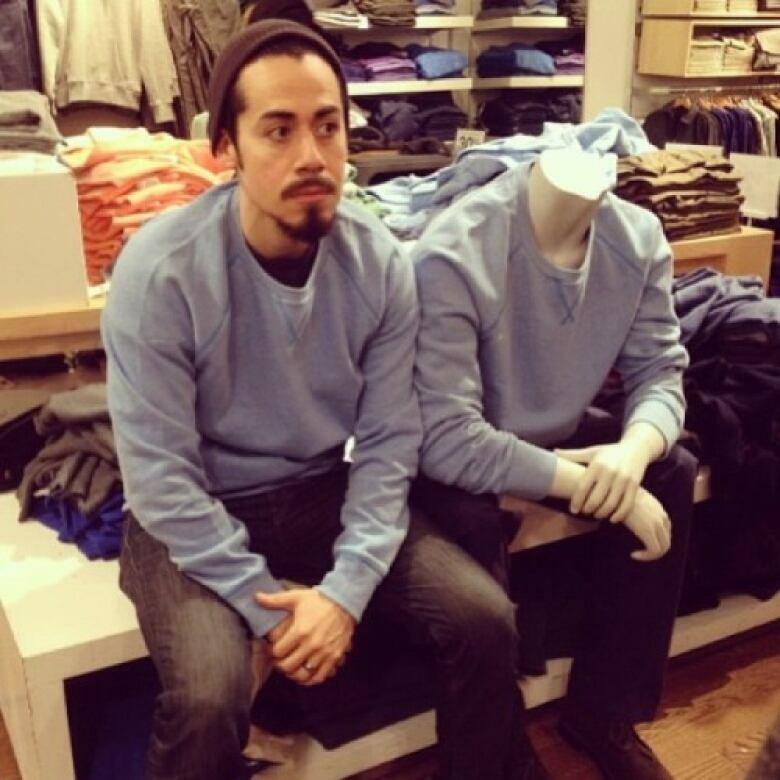 He says online comments have been "pretty positive." Venegas' photoblog on Tumblr went live Dec. 31, and has since been featured in local media outlets as well as wider-ranging platforms including The Today Show, The Daily Mail, The Huffington Post, Yahoo!, Good Morning America Online, iVillage, Glamour Magazine UK, Esquire Espana, and has also made the news in Chile and Taiwan. 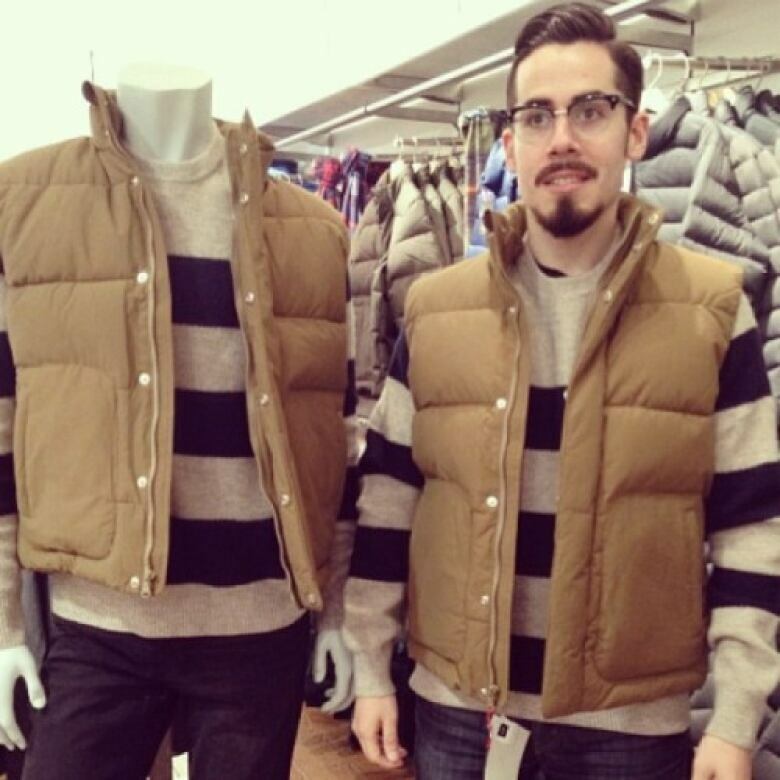 He told CBC News on Sunday that his Tumblr account now has 10,000 followers.